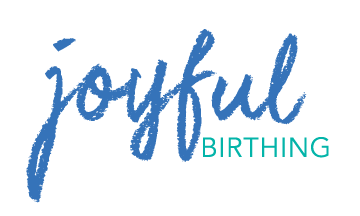 Joyful Birthing offers HypnoBirthing® childbirth education, birth & postpartum doula support, breastfeeding education & support, and nutritional advice to the greater Boston area. Do you dream of birthing with a sense of calm, trust, and joy, instead of fear, tension and pain? The HypnoBirthing® Class Series will open your mind to these possibilities and so much more! This class will prepare you and your partner for all things childbirth, it will equip you with a variety of coping techniques, and it will teach you to approach your birth with confidence, a sense of calm, and empowerment. Having a baby is a bit like climbing Mt. Everest. If you were to climb Mt. Everest, you’d likely hire a sherpa, someone who knows the land, can read the weather and knows the technical aspects of climbing very well. A doula is like a sherpa for you and your partner, someone who is trained and experienced and can help you navigate a safe, satisfying, and empowering birthing and postpartum experience. At Joyful Birthing, with compassion, respect, and without judgment, we support all of your choices. We bring our heart and soul to each and every birth and family and are 100% committed to providing the unique support, guidance, and encouragement that you, your partner, and baby need in order to have the most positive experience possible. Your baby’s first instinct is to find the breast and begin suckling. The American Academy of Pediatrics and World Health Organization recommends exclusive breastfeeding for the baby’s first six months to achieve optimal growth, development, and health. Breast milk contains a multitude of beneficial nutrients, including powerful antibodies to help protect your baby from viruses and bacteria, beneficial bacteria that serves as the foundation of your baby’s microbiome and immune system, and the perfect balance of fat, protein, and carbohydrates. With prenatal breastfeeding classes and breastfeeding support services, Joyful Birthing is here to support you and your baby on your journey to successful breastfeeding. If there’s ever a time in your life to focus on optimal nutrition, this is it! Nutrition, movement, and mindset are so important to a healthy, glowing and energized pregnancy, birthing, and postpartum experience. Proper nutrition during pregnancy can help women avoid common pregnancy ailments and complications (such as swelling, heartburn, gestational diabetes, and preeclampsia) and, of course, sets the foundation for a lifetime of optimal health for your child. Our Certified Nutritional Therapy Consultant and Licensed Clinical Social Worker, Katharine Murphy, offers support for a nourished, enjoyable, and healthful body and baby. Joyful Birthing’s 10-month Mentorship Program educates and empowers new doulas, so that they can have the confidence and skill-set to have their own successful, independent businesses. In the role of mentor, Ellie Lindenmayer- founder of Joyful Birthing- offers her guidance and support as you embark upon the exciting journey of becoming a birth worker. She will share with you the many keys to her success, will offer her expertise on a wide array of topics pertinent to having a thriving birth doula business, and will support you as she does her clients with compassion, respect, and availability.